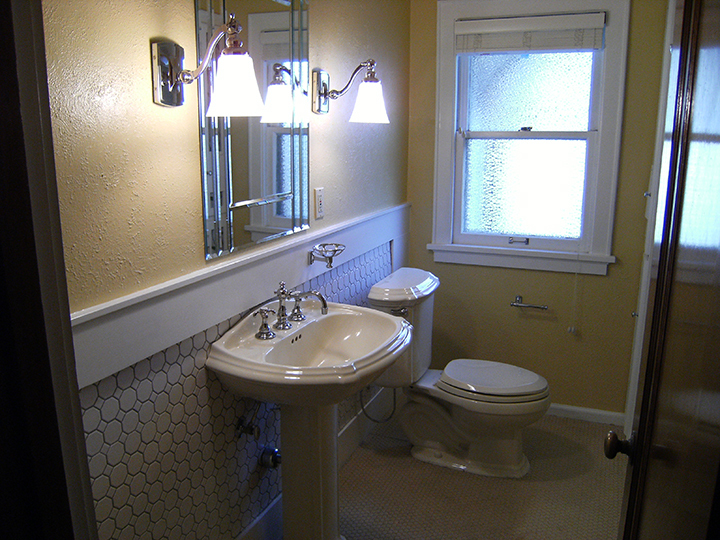 The main concern of our clients was to change their cold and stark white bathroom into a modern yet era friendly bathroom. 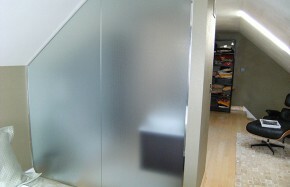 The other concern of the client was a short time frame for the work to be completed. 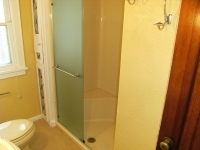 This was the only shower in the house and with family arriving in four weeks the project had to be well planned out. The home was built in the early 1900’s Thus we focused on staying in the design frame but allowing for modern touches that wouldn’t necessary take away from the décor. 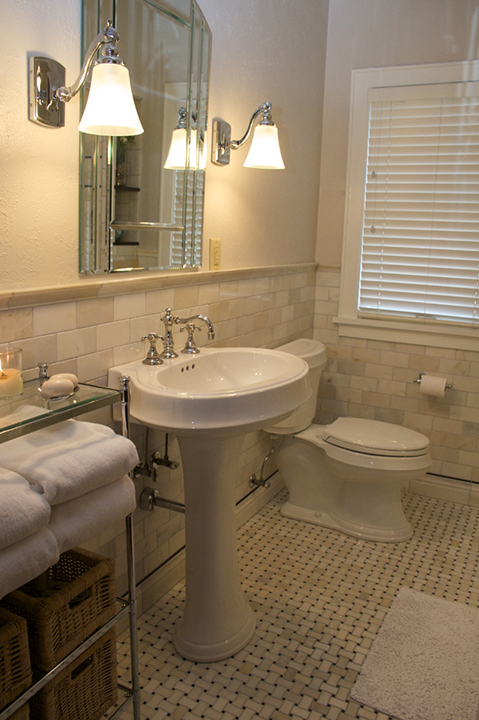 With the era of the house the designer recommended a stark white subway tile. However to incorporate their modern flair the homeowners determined a Carrara marble subway tile would fulfill both needs. 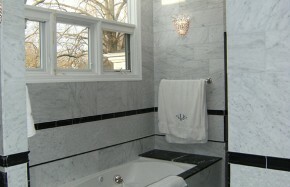 The floor consisted of the same Carrara marble but in a basket weave pattern. To warm up the space the carpet that covered the cold tile was removed along with the old mud set floor. This gave way to installing a in floor electric heat system. The old tile wainscot was removed as well as the fiberglass shower insert. 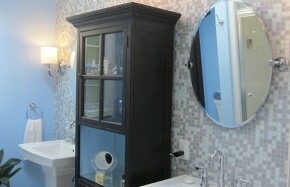 An old line closet gave room for a new oversized shampoo niche in the shower with enough space left over for a small cabinet and open shelving in the bathroom area. 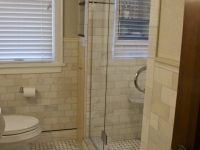 The basket weave floor flows seamlessly into the shower ensuring that all grout lines matched. 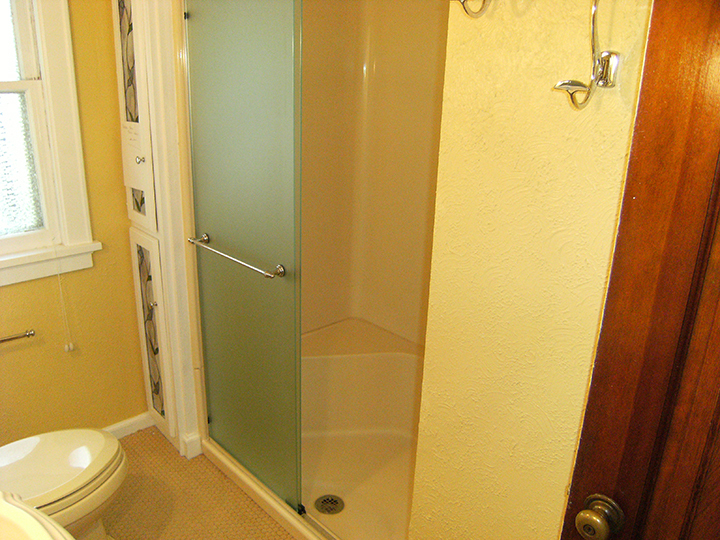 A frameless glass shower door allows the new tile wall work to wrap into the shower making the shower and extension of the main bathroom area. 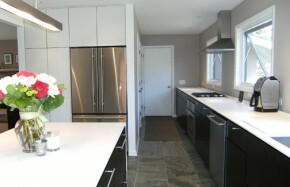 With the project finished right on schedule ready for family, the homeowners were ecstatic. We were able to keep the architectural style consistent with the house yet still allow for modern upgrades. 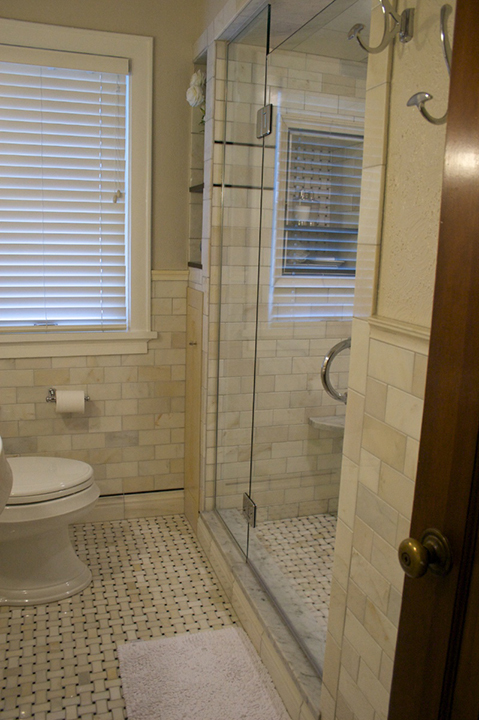 Overall with thorough planning, high quality upgrades, and a new remarkable shower we were able to exceed the homeowner’s expectations. 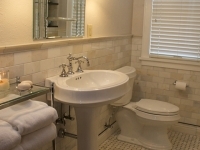 The bathroom has added new life to the home with its refreshing appearance, impressive features, and notable craftsmanship.